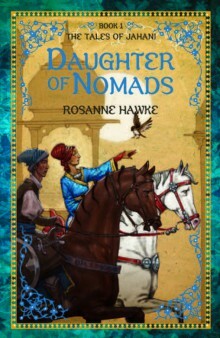 First moon of summer, 1662: On the edge of the Mughal Empire, fourteen-year-old Jahani lives with her mother in the village of Sherwan. Surrounded by the majestic snow-topped mountains, her life is happy but simple; Jahani enjoys spending time with her best friend Sameela who is about to be married. So why is Jahani plagued by dreams of fire and a child who has lost her mother? And why does she feel like she doesn’t belong? After Jahani and Sameela are attacked in the bazaar, Jahani discovers all is not as it seems. Before long, Jahani is fleeing on a warhorse with the mysterious protector Azhar. Surrounded by deceit and danger, Jahani does not know who to trust as Azhar leads her higher north over treacherous terrain towards the fabled Qurraqoram Mountains. But when they reach their destination, will Jahani find out the truth and be in control of her own destiny?